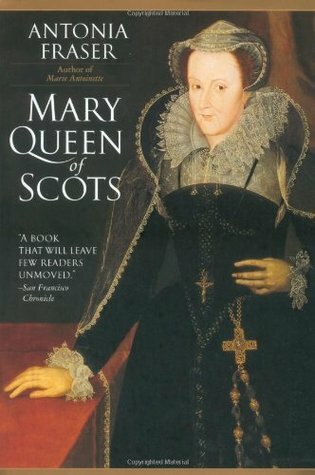 I bought Antonia Frasers biography of Mary Queen of Scots, in a second hand bookshop in Paris, a few years ago, and eventually got around to reading its 667 pages over the Christmas period. 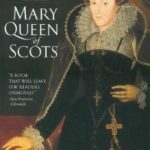 It is a riveting personal story of a woman who became Queen of Scotland as an infant, and who spent her childhood and teenage years in France, where she married the King . Then, after the King of France had died, and she was still only 19 years old, she returned to Scotland in 1561 to take up her responsibility as monarch of her native country. 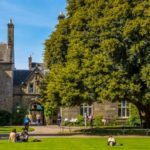 In Scotland, much the real power rested with the nobility, who controlled the land and its revenues, and who could, and did, dictate to the monarch. Parliaments were often no more than a vehicle for the power of the landed nobility. Religion added a new source of contention, especially if the monarch and her subjects had different religious beliefs. Mary was a convinced Catholic, while the majority of her subjects had recently become Protestant followers of Calvin and Knox…Presbyterians. 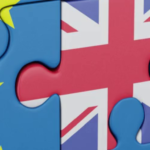 She did not attempt to force her Catholic religious views on her subjects, in stark contrast to the policy followed in England by the monarchs of that country, both Protestant and Catholic. In Scotland the drive for religious conformity came from the bottom up.iin England, it came from the top down. Mary also had a claim on the English throne, through her grandmother, Margaret Tudor, a sister of Henry XIII. So when all Henry VIII’s offspring had no children, Mary would have been the uncontested heir to the English throne too, after the death of Queen Elizabeth I. In fact, she could even claim precedence over Elizabeth, because , in Catholic eyes, Elizabeth was illegitimate, because her mother, Anne Boleyn’s marriage to Henry VIII took place, while his first wife, Catherine, was still alive. As we know, the Pope did not agree to annul Henry’s marriage to Catherine. Interestingly Mary’s own grandmother, Margaret Tudor, a staunch Catholic, had had an annulment of her marriage to her second husband, the Earl of Angus. Mary herself had numerous half brothers and sisters, because her father had had active relations with women, other than Mary’s mother. So Mary’s person, and her choice of husband (she had three), became an instrument in the politics of Europe, and in the struggle for predominance between France, Spain and England, and between Catholicism and Protestantism. Although she was a charming intelligent and generally cautious ruler, the forces with which she had to contend eventually became far too great for her. She was forced to abdicate in 1567, attempted to regain the throne by force, and was defeated. She had to quit Scotland, leaving her infant son, James, who was eventually to become King of both England and Scotland, behind, never to see him again. She was only 25. But, instead of fleeing to France where she would have been well received and had many powerful relatives, she fled to England. This was a fatal and foolish mistake. In England, she became an acute embarrassment to her host, Queen Elizabeth, who feared , with reason, that, as a legitimate claimant to the English throne, Mary would provide a rallying point for English Catholics and their continental allies, who wanted to dethrone Elizabeth, and restore the Catholic faith. Eventually, after twenty years imprisonment, Elizabeth had Mary executed in 1587, when she was still only 44 years of age. This tragic story brings out the deep historical, political and religious differences between Scotland and England. 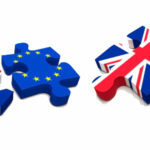 It exposes the roots of the suspicion between England and the continent, a suspicion that is not prevalent in Scotland. States were much weaker then than they are today. It reminds the reader how different were the priorities of political actors 500 years ago. Heredity and religion were much more important than trade and economics. Only the pursuit of power is a constant. During 2016, I read and enjoyed two books by the British biographer, Anne De Courcy. One was a life of Diana Mosley, the wife of the British Fascist leader Oswald Mosley. 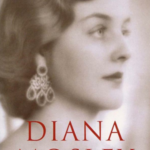 Diana was one of the well known Mitford sisters, one of whom, Nancy, became a noted author and another, Unity, became a noted devotee of Adolf Hitler. Oswald Mosley, who married their sister Diana, emerges from the book as an extremely egotistical man. Bryan Guinness had liked a quiet domestic life, whereas his wife preferred a busy, intellectually stimulating, social life. Mosley provided that in abundance. 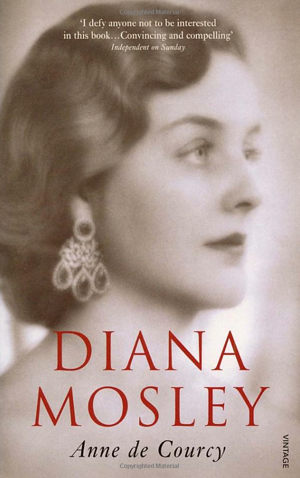 Diana and Mosley remained together through his tempestuous political career in the 1930’s when he tried to turn Britain to Fascism. She also stayed with him during their internment during the Second War, his failed attempt to launch a new Fascist Party after the War, and their eventual voluntary exile in France. In her eyes, he could do no wrong. 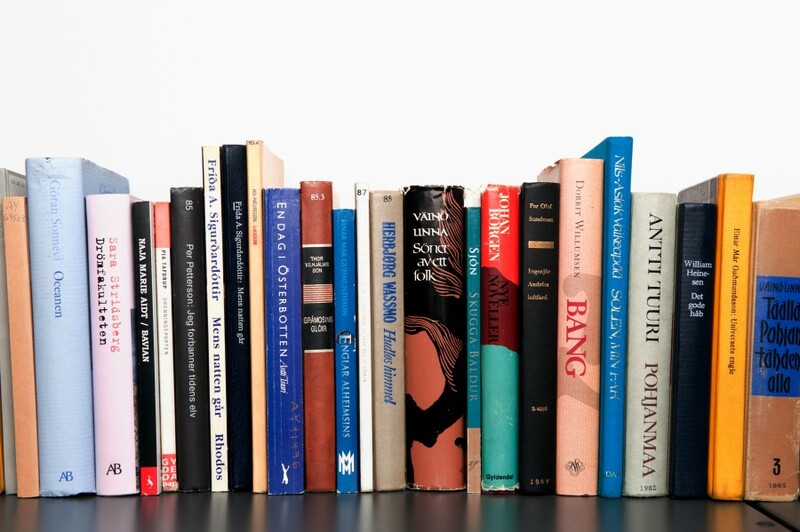 The books throws light on the appeal of Fascism to well educated and aristocratic people in Britain during the 1930’s, and, in this, it helps us understand the appeal of authoritarian nationalism in our own times. 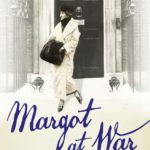 The other book, entitled “Margot at War, Love and Betrayal in Downing Street , 1912-1916” is an account of the life of the wife of the then Prime Minister, HH Asquith. 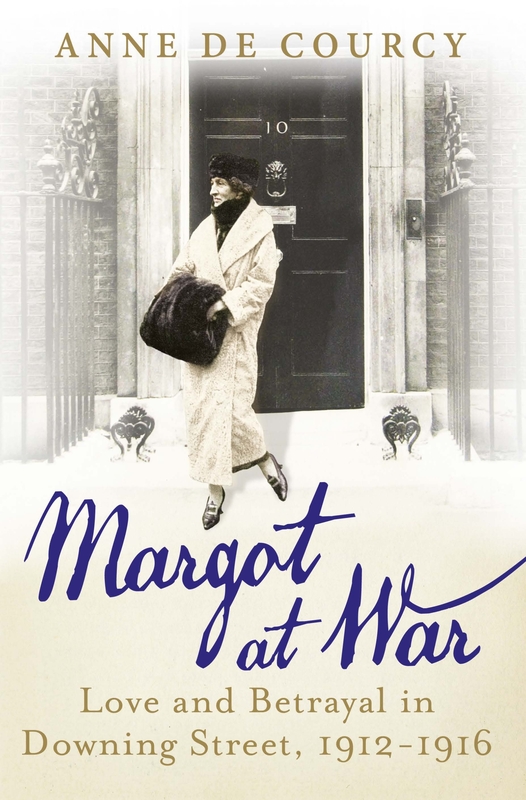 It gives a very good account of life in 10 Downing Street during the early part of First World War. As a devoted wife, Margot had to cope with the fact that Asquith, at this time, had become totally infatuated with Venetia Stanley, a friend of one of his daughters by his first marriage. His obsession with Venetia became well known to his political colleagues, and was a source of mortification and humiliation for his wife. It also undermined his authority as Prime Minister. This self indulgence contributed to the undermining, and to the eventual replacement, of Asquith as Prime Minister, by his Liberal Party colleague, David Lloyd George. This coup created a split that led to the virtual disappearance of the once dominant Liberal Party in the next twenty years. Both books give a well written account of the historical background of the times, during which these two personal stories evolved, and are interesting for that alone. Political power in Britain, in both eras, was exercised within a small aristocratic or intellectual circle. The characters entertained one another, frequently and lavishly, even when there were shortages. Both Diana Mosley and Margot Asquith used their social contacts to advance their husband’s careers. Thankfully, Margot Asquith had the greater success. As Russia and Turkey broker a Syrian ceasefire without the involvement of the United Nations or the United States, some are wondering if the axis of influence in the world is shifting from the Atlantic to the centre of Asia. 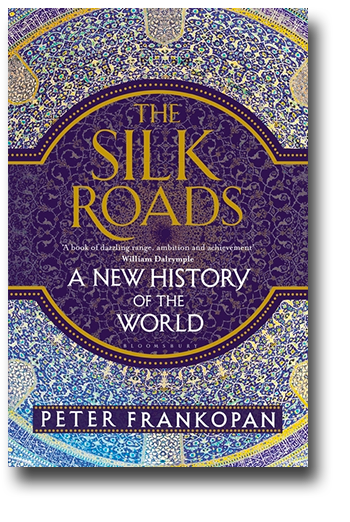 Like many others, I enjoyed reading the best seller, “The Silk Roads, a New History of the World”, by Peter Frankopan. 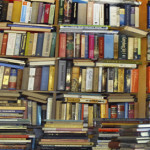 The period the book covers runs from the time of the Babylonian Empire right up to the present day. The area it covers is everywhere between Ireland and Vladivostok, and between the Indian and Arctic Oceans. The centre of that world is somewhere near the Caspian Sea. The constant theme, through the whole time, is a struggle within this huge area, for resources, and for the means of contact with the outside world. The rivalry between the Roman and Persian Empires is described. So is the rise of Islam, and the claim is made that Islam succeeded partly because it provided Arabs with a unifying identity, in places of the rival religions and heresies that predated it. The claim is made that Jews in Palestine initially welcomed Muslim rule. Indeed it is noteworthy that, 700 years later, Jews, fleeing Christian Spain found refuge in then, Muslim ruled, Greece. The role of Genghis Khan is described and it is claimed that, after the initial disruption, Mongol dominance gave relative stability to Central Asia. The Mongols did not come all the way to Western Europe because they found much richer lands to conquer in India and China. Russia’s constant fear of being encircled, or hemmed in, within the Eurasian landmass is also examined. After its defeat in the Crimean War in 1856, peace terms were imposed on Russia, by the victorious British, French and Turks, which closed the Black Sea to the Russian Navy. This was despite the fact that the Black Sea was the exit route for a third of Russia’s exports. This remained a huge grievance for the Russian leadership, and a similar feeling of being hemmed in lies behind Russian tactics today, in respect of Crimea and Syria. Hitler, who remembered the starvation in Germany during the First World War, was determined, as one of his war aims, to seize the grain growing regions of Ukraine and Southern Russia. His plans in this respect were well signalled in his book Mein Kampf, which he wrote in the 1920’s and which Stalin had read. But Stalin did not draw the logical conclusion and was caught off guard, when Hitler attacked the Soviet Union in 1941. 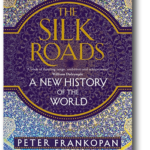 The thesis of this book is that world politics rotates around the struggles for control of resources of food, energy, and minerals on the Eurasian land mass. This is in contrast to a view that would see the Atlantic as the axis of political and economic power. From the very beginning of this story, peoples in Eurasia were changing sides, finding new allies, and adopting different religions. Inconsistency was the one constant among the players of this great game. For example, in view of the present obsession in the United States and Israel with the possibility that Iran might have nuclear capacity, we are reminded that, in 1974, President Ford agreed to sell American nuclear reprocessing technology to Iran. That was in the time of the Shah, who was overthrown five years later, but the geostrategic risk of proliferation inherent in selling such a technology to Iran under any regime was the same then as it is now. Interestingly President Ford’s Chief of Staff at the time was Richard Chaney! 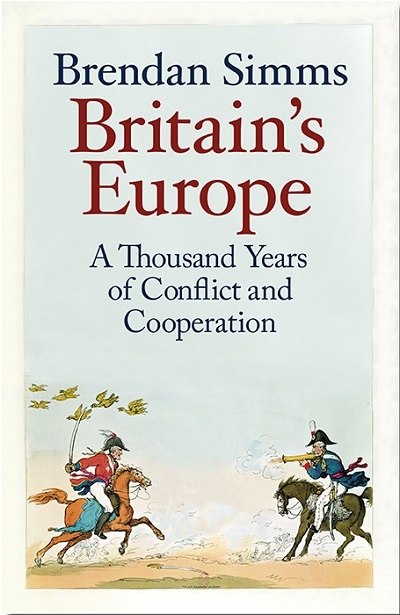 As we move towards an more uncertain world, reading this book will help one to be a little less surprised by what happens, because one will learn that something rather like it will have happened before. James is remembered in Ireland as the King who supposedly displayed a lack of courage and thereby lost the fateful battle of the Boyne in 1690. In England he is seen as the King who had to be overthrown in 1688 to preserve his subjects “religion and liberties”, as the banner of his opponent King William claimed. Neither view is fair or accurate. James became a Catholic as a young man, as did his brother King Charles the Second. But, whereas Charles kept this a secret until he was on his death bed, James was open about it. Charles tried half heartedly, and without success, to remove the disabilities suffered in England by Catholics and by Protestants who did not belong to the Church of England. Oliver Plunkett was put to death during the reign of Charles the Second in 1681. James, on the other hand sought to make toleration and freedom of religious worship the central goal of his reign when he succeeded Charles in February 1685. He also made it clear that he wanted this to happen while preserving the position, as the State Church, of the Church of England. Ashley, who has studied all the documents, including those from before James became King, is adamant that this was the case. He was for all round religious toleration. Against advice from his French military advisors to retreat across the Shannon when William arrived with his army in Ireland in 1690, James, although outgunned and outnumbered 3 to 2, decided to make a stand at the Boyne. He rightly understood that his volunteer army would melt away if he was not willing to put up a fight. James is criticised for leaving his army after the battle and going back to France rather than staying on to fight in Ireland. His departure is partially explained by the fact that he was hoping to get French help for an invasion of England, and by the fact that his enemies controlled the sea lanes and he could not easily be resupplied, if he retreated and reassembled his army west of the Shannon. This book does not, however, absolve him of criticism. He was extremely tactless in his handling of the Church of England Bishops. His attempts to introduce sweeping religious toleration, by use of royal prerogative without parliamentary approval, showed that he had learned nothing from recent history and from the fate of his father, Charles the First. He was overthrown in 1688 because he was deserted by his closest Lieutenants, and by his two daughters, both of whom were in turn to replace him on the throne. 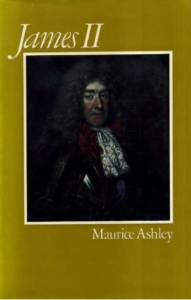 Perhaps the most justifiable criticism of him is that he did stand and fight against William in England in 1688, where he might have been able to rally support in much of middle England against the Dutch invader. Then he might never have had to take a stand at the Boyne. Although he was a strongly religious man, he was also a serial philandered who had a succession of mistresses. This book brings to light the flawed humanity of this sincere, but tactless and unlucky, man. 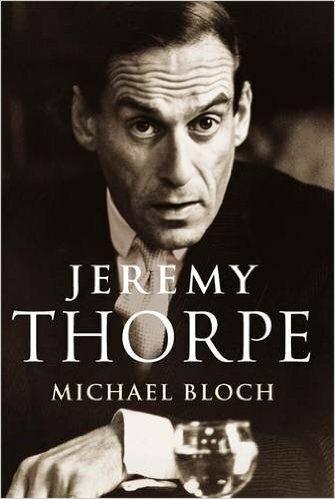 I recently read a biography of the former leader of the British Liberal Party, Jeremy Thorpe, written by Michael Bloch and first published in 2014. 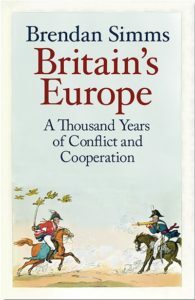 Thorpe was an old Etonian and a member of a circle of friends who were used to having enormous influence in the political, legal, and economic destiny of Britain. He was a barrister. The Thorp family were originally from Wexford, where they had settled as part of the Cromwellian conquest of Ireland. His great grandfather, William, joined the Dublin Metropolitan Police in 1856, as a constable. He rose through the ranks to become a Superintendant by the time of his retirement in 1890. He had nineteen children, one of whom, Jeremy’s grandfather, became a clergyman in the Church of Ireland. Later he moved to England where he rose to become an archdeacon in the Church of England . One of the clergyman’s sons, Jeremy’s father, John Henry Thorpe, became (briefly) a Tory MP in 1919, before Jeremy was born. Jeremy’s parents were close friends of the Lloyd George family, and it was through that connection that Jeremy, who always saw himself as a future Prime Minister, gravitated towards the Liberal Party and a political career. He became involved with the Liberals at a time when the Party was in a very weak condition, where all but one of the seats were held, only because the Conservatives did not contest the constituency at all, and allowed the Liberal MP a free run against Labour. Jeremy was a flamboyant campaigner and had a knack for attracting publicity. He employed this to good effect put the Liberal Party back on the political map. He won several by elections. He came close to power when Edward Heath contemplated coalition with Liberals, led by Thorpe, as a way of staying on a Prime Minister after an Election in which the Conservatives had lost seats. Thorpe, although a married man, was apparently being blackmailed, through a good part of his political career, by a former homosexual lover. This was at a time when homosexual acts were illegal. He was later accused of conspiring with others to have his blackmailer murdered. He was acquitted but never recovered politically from this scandal, which provides the most interesting material in this biography of an otherwise shallow and insubstantial political figure.